Where Is All Our Stuff? 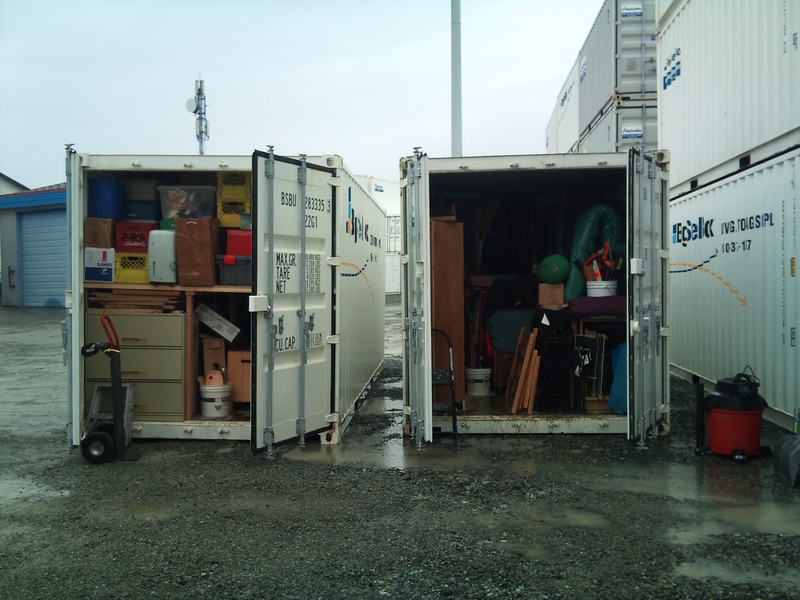 As a part of our Grand Adventure, we packed up three households of stuff into two shipping containers. It was very organized, at first, and then more and more hectic as deadlines approached and only the hard stuff remained to be packed. And now, slowly, we are unpacking and sorting. We unpacked essential furniture, like beds and dining room tables, as soon as we had a place to put them. Later on, we found winter clothes, some books, winter project supplies, and a few more toys for the kids. We still have two relatively full shipping containers, though. I’m slowly bringing boxes like this one to the house, and opening them, because I Have No Room For Junk, so this is probably as good a time as there ever will be to sort things like this. Thanks for silly box-marking, Past Erin. 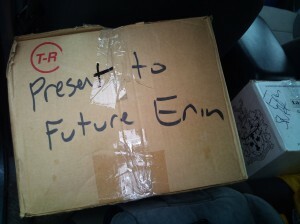 It would be a little less fun opening boxes labelled ‘Erin Junk’.